Written by Josh Stanton, co-founder of screwtheninetofive.com. Let’s be honest, most email pitches get sent to the trash. We all know it’s true and yet most of us still continue to send out the same old boring template email, hoping to get some kind of fast and favorable outcome in return. Combine that with the fact that according to this study done by Smart Insights, the average open rate of emails is now down to less than 25%. This means only 1 in 4 emails you send out in hopes of securing publicity will be opened and the other 3 will be wiped from the prospects inbox, never to be seen again. It’s time to be more human in a world starved of connection. 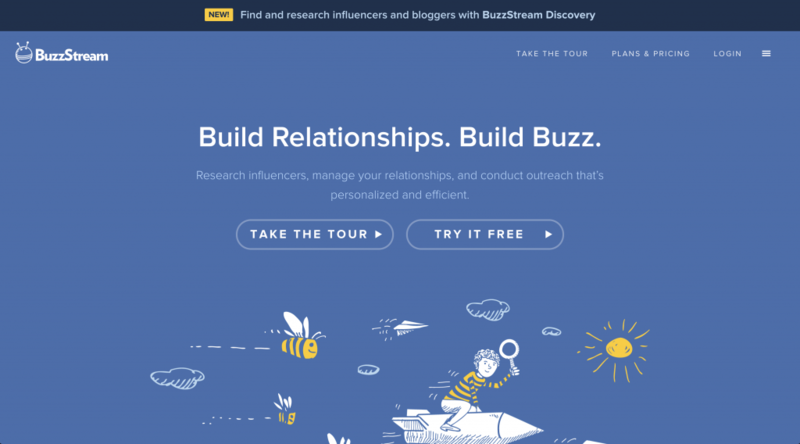 I’m going to show you how we are seeing great results to using two incredibly powerful tools seeking to transform the way agencies and individuals reach out to secure media coverage and contributed content opportunities; Buzzstream and Hunter.io. I’ll walk you through the exact process we use to achieve our goals of securing guest articles on relevant online sites, which can be used for everything from contributed content campaigns to Holiday gift guide outreach. For the record I have no affiliation with Buzzstream, I just really like their tool and I’m happy recommending it to others. If you’re like me, you probably know how overwhelming it is to manage relationships via email. It helps you find the RIGHT prospects to contact. You can easily keep track of every conversation you have with said prospects. You can share all information amongst your team, so it’s not just you building and maintaining relationships. 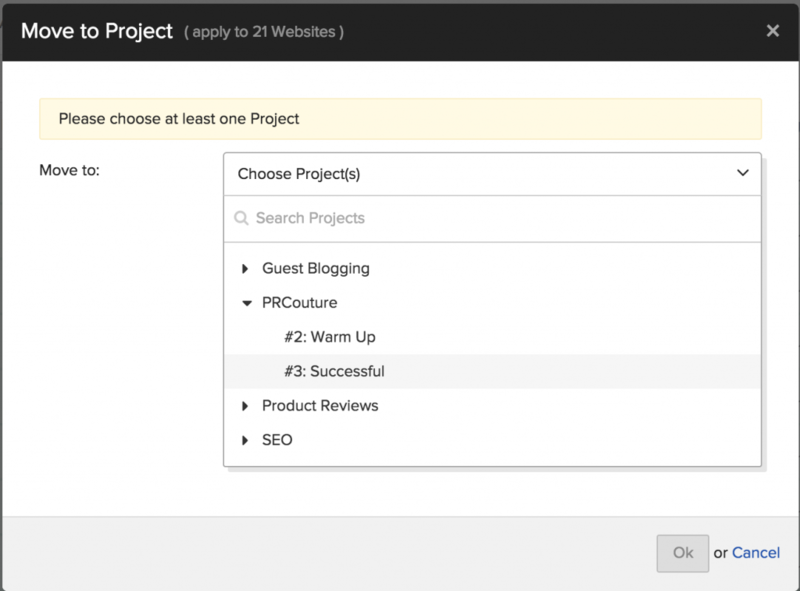 It even finds contact information for you when adding websites into your projects. Like I said, making sure you have the RIGHT contact information when getting in touch with a prospect is vital. 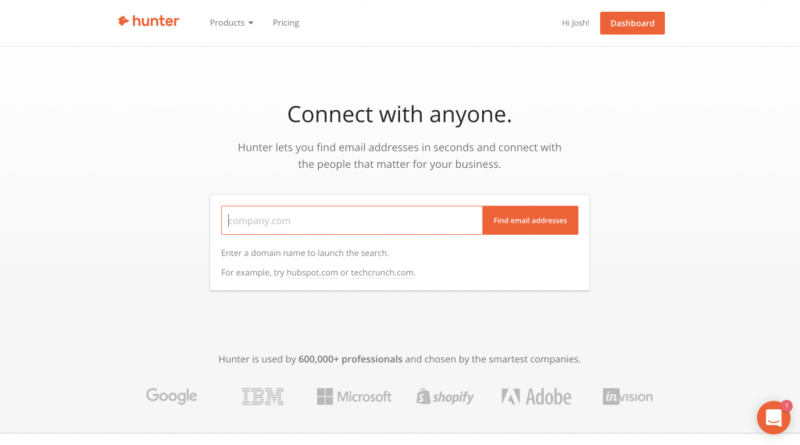 Hunter.io allows you to find even more email addresses just by typing in the website address and running a quick search. 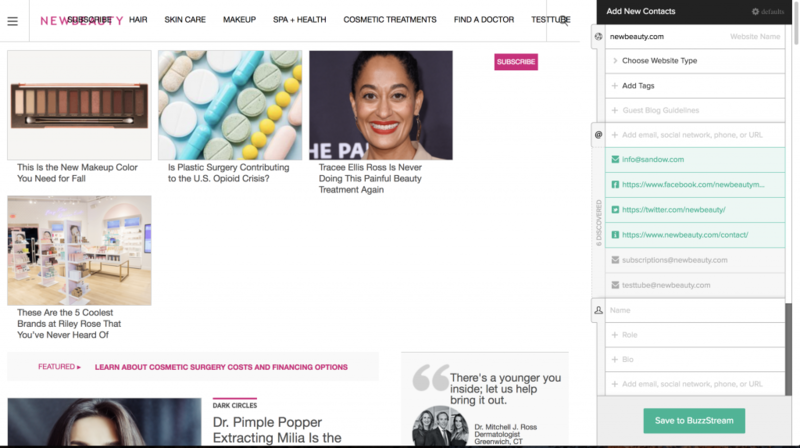 For example, let’s say you wanted to land a publication like newbeauty.com, who according to similarweb.com receive close to 1 million website visits a month. 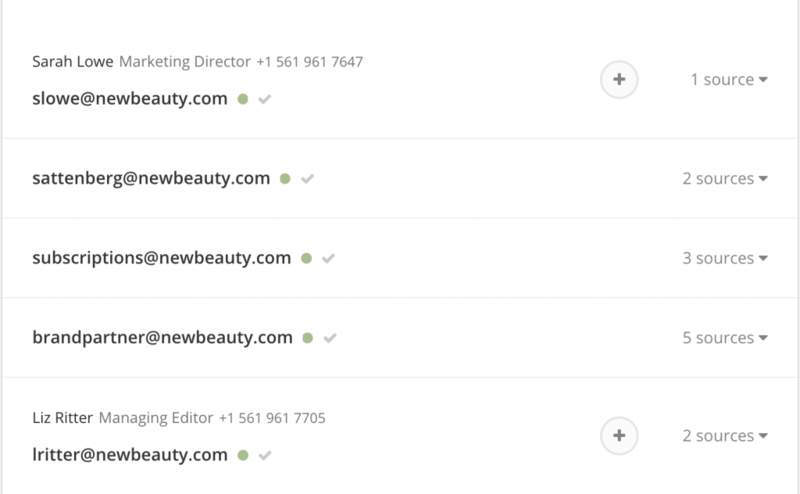 Or you could run a search on hunter.io and grab the email and phone details of 5 verified contacts, including their managing editor! From here, simply add these contacts to the prospects’ site record inside of Buzzstream before reaching out to start a relationship. Plans start from $24/month for the starter option, right up to $999/month for large teams. Pick one and get your account up and running. Start by selecting “New project” under the dropdown, or if this is your first project you should see a big button in the center of the page to start your first project. This is the first stage of the outreach process and it’s where we initially add in the contact information of key media for a campaign. Once you get a response from your pitch, move the prospect into this project. When you get a desired outcome, move the prospect into this project. 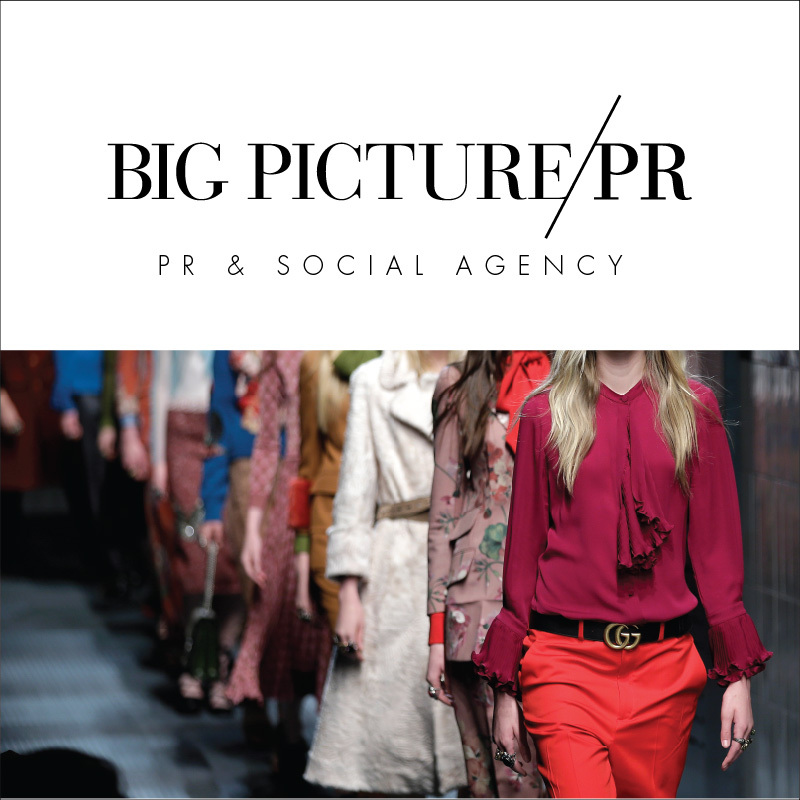 A successful outcome could be media coverage, or securing a guest contribution on their blog (like our team did with PR Couture, resulting in this article you’re reading right now). Now it’s time to locate and add in new prospects that you don’t currently have in your media database. The easiest way is to start by installing the free Buzzmarker Google Chrome Extension. From there, choose 5-10 top online publications you would like to start a relationship with for your client or your own business. Go to their website and click on the Buzzmarker that should now appear in the top right hand corner of the Google Chrome browser. Notice that a side bar should appear on the right hand side. Fill in any information, including tags to help you find and manage this site in the future. Run a search on hunter.io and add in the contacts and email addresses of those who are a fit for your pitch. Lastly add in any notes, give them a rating (could be if they are priority media for a particular campaign, or potentials for an exclusive) and select the stage you’re at as far as your relationship with the editor at this stageg. Click save and add in 5-1o more prospects before moving onto the next step. This is where 90% of people fail because they go in for the kill without firstly striking up a conversation. Let’s start with the subject line. Stay away from any subject line that sounds like you are wanting something from them. We have a podcast for our business coaching site, screwtheninetofive.com, and we receive requests all the time from influencers wanting free exposure by landing an interview. The last one I received has the subject line above and immediately I knew the person wanted something from me, which personally rubbed me the wrong way. Those that are different and interesting. Those that sound like you are GIVING them something. 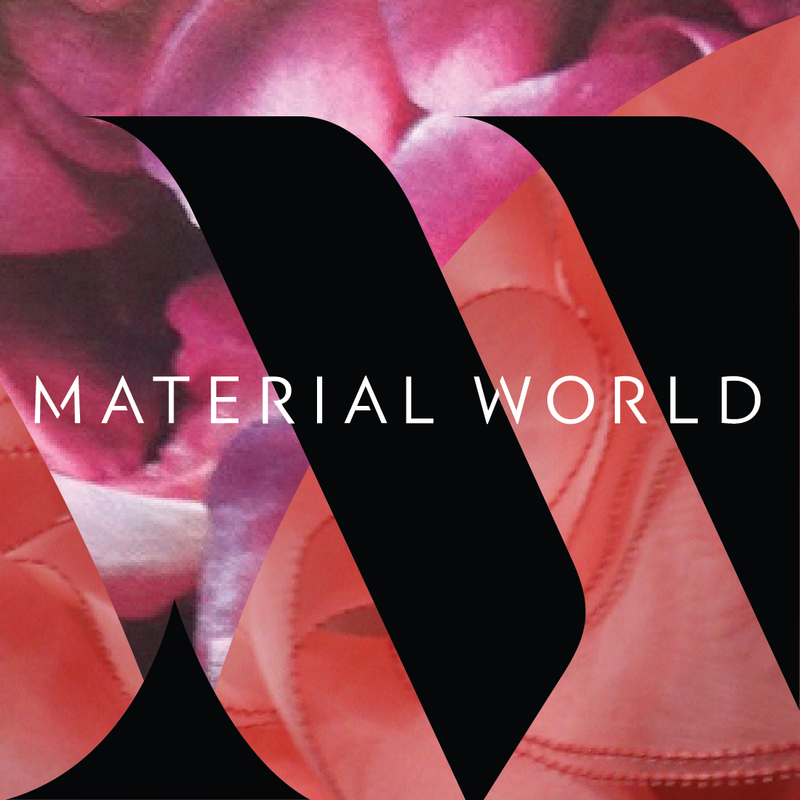 For example, we knew that PR Couture did take guest contributions on their site, however we also assumed they receive a lot of requests every week and so we had to stand out if we were to land an article. I’m sure Crosby, who replied to our email, rarely sees that subject line. The fact it was different made it stand out in her inbox, increasing the chances of her actually opening it. Be different, interesting or make it sound like you’re giving them something and not the other way around. Keep it short! No one likes it when they open an email and the first thing they see are 1000 words in front of them! The magic number is 50 words or less. If the answer is “a long time,” then your response rate will be low. If the answer is “less than 2 minutes,” then you will likely see better results. To make it simple, try to think of a question that most of the time will result in a simple “yes”. This is called “yes framing” and is used a lot in sales and marketing. The premise of this concept is that if you can secure three “yes” answers in a row, then the prospect will be more likely to say yes when you ask for the sale. Even if you get a yes answer in the first reply, try asking another question or two that will also result in a yes response. The more “yes” you get, the more likely you’ll be to secure publicity on your targets’ platforms. And yes, I literally said “yes” 12 times in the last 2 minutes! 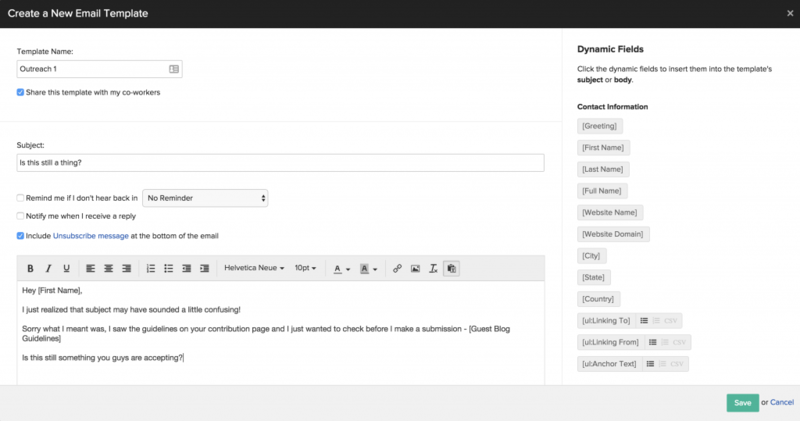 One of the great things about Buzzstream is the ability to generate templates and quickly send out emails. 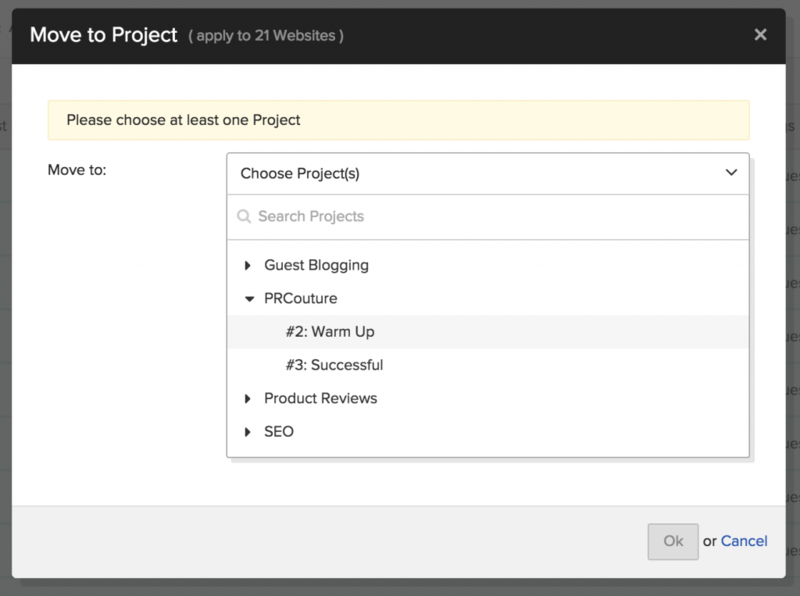 Once you have your 5-10 prospects in your project, select them all and click on Outreach>>Send Individually. From there you can create one or more templates to use to send out to your prospects. The final step is simple. 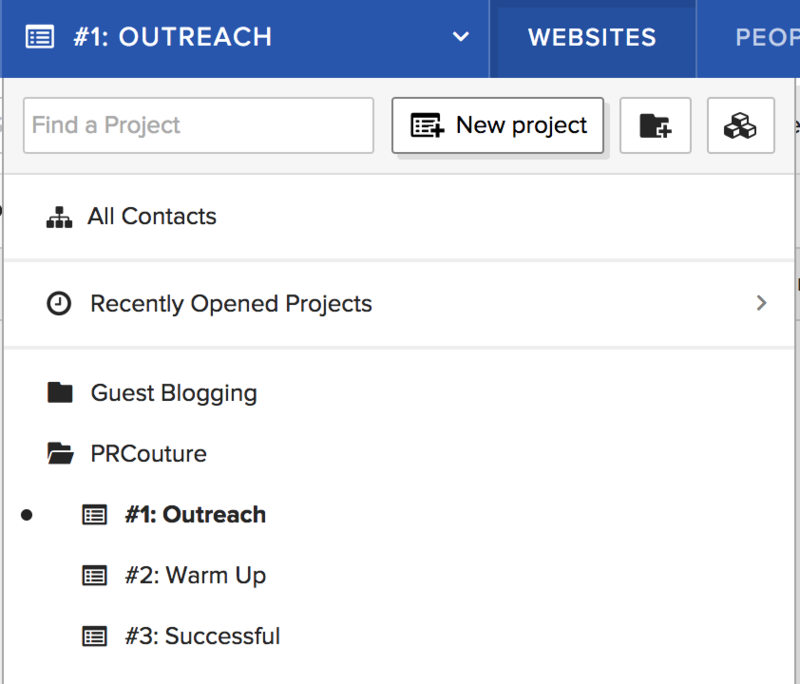 For the template you just created, click on Start Outreach before going through and sending out emails to all of your prospects. Once you get a response, Buzzstream will let you know so you can jump into your account and follow up with each of your prospects. The first step is to move any that have replied favorably to your initial email into the second project you created, #2: Warm Up. Follow up with any prospects who didn’t respond within 72 hours. Reply to any prospects in your warm up project. If a prospect says yes to your pitch, then you can move them directly into the third project, #3: Successful. If not, send an email using the yes framing technique we talked about earlier. Only move a prospect to the final project if you have secured some kind of opportunity for exposure. The last step is to review the responses you received, find 5-10 new prospects and start the process all over again. 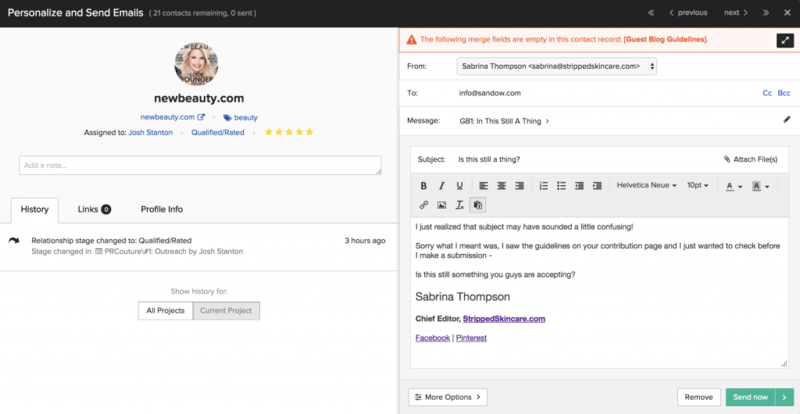 My final tip is to test out new emails and track the number of responses you receive. As you test this strategy out more and more, eventually you will find a shortlist of email templates that offer the best results. Or maybe you could tell you jumped in too early when it came to the ask and so the next time try using yes framing to strengthen the relationship before asking for what you really want. Josh Stanton is the co-founder of screwtheninetofive.com. Along with his wife Jill’s, Josh helps nsatisfied 9-to-5’ers hit the eject button on their day job and start a business online. He’s got an unhealthy obsession with pugs, a serious love for travel and can be found lurking inside the free Screw the Nine to Five Community on Facebook!